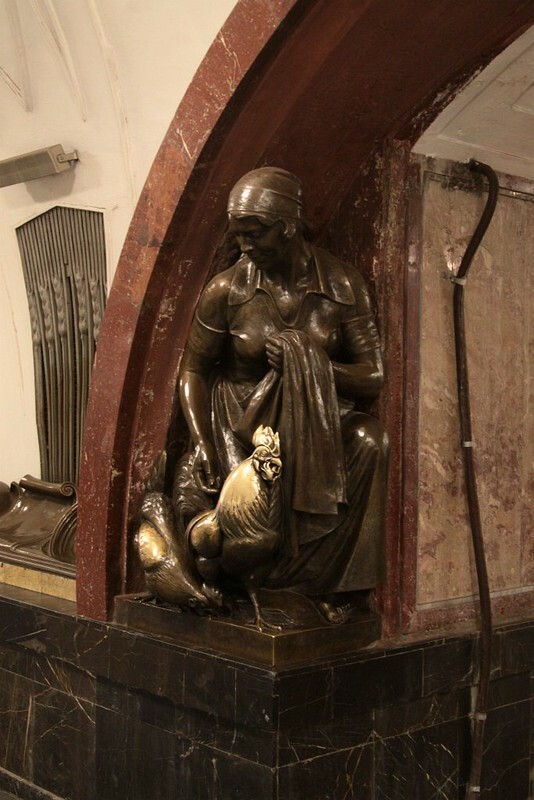 The stations of the Moscow Metro are known for their ornate architecture, but Площадь Революции (Ploshchad Revolyutsii) station on the Arbatsko-Pokrovskaya Line has another form of artwork to offer. A series of bronze sculptures. For some reason the dog sculpture is the most popular. With every second person seeming to stop on the way past. And give the dog a pat on the nose. Presumably thinking it will bring them good luck. But a nearby rooster is also getting a similar amount of attention. But why so much attention? «Архнадзор» explains the history of the superstition. 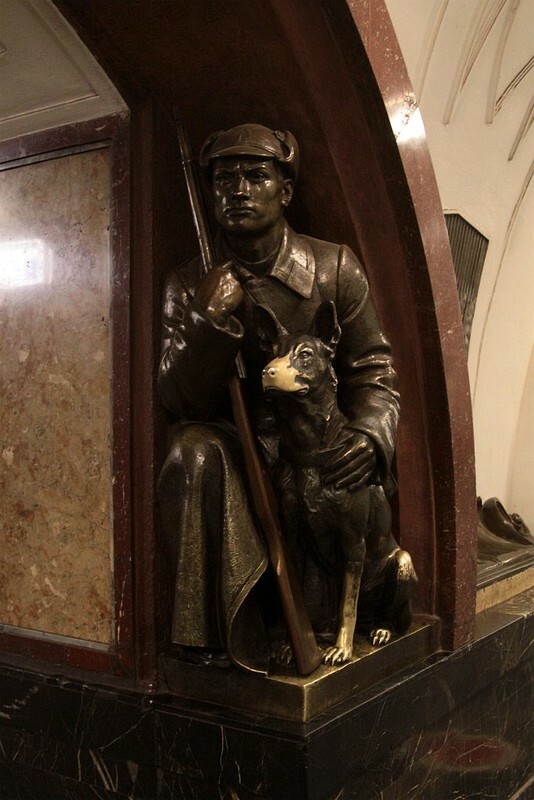 The tradition to touch the statue of a bronze border dog at Ploshchad Revolutsii station arose long ago, but at first it was just a student problem. One can understand: the students in the majority of their people are dark and disorderly, they remember about the exam three days before its end, when all that remains is to hope for only a miracle. And who else can pray for the miracle of the Soviet Komsomol https://en.wikipedia.org/wiki/Komsomol – not the saints of the saints. So let the mystical patron of a lost Komsomol become a bronze animal, whose polished snout mysteriously flickers in the twilight of Moscow dungeons. In general, at first it was rather funny. While also detailing the damage this ‘tradition’ has caused to the sculptures. In the past ten years, the pilgrimage to the underground shrine suddenly became a nationwide action. 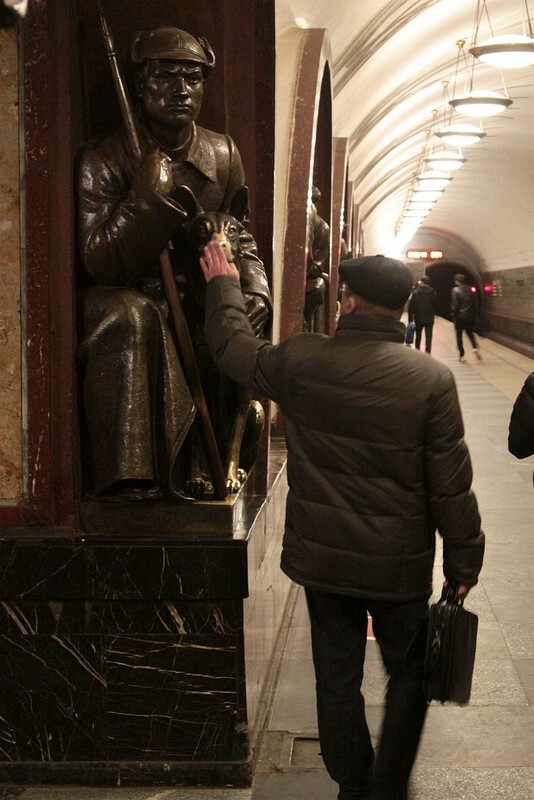 Check for yourself: out of ten metro passengers passing along the platform, at least three will certainly attach to idols, and if someone does it in passing and in jest, then many are genuinely religiously zealous. At peak hours, the frequency of wiping each dog’s nose reaches 20-30 approaches per minute, and a queue forms. Once the dog’s noses just glistened, and now they have completely lost the surface relief and are already beginning to lose shape. 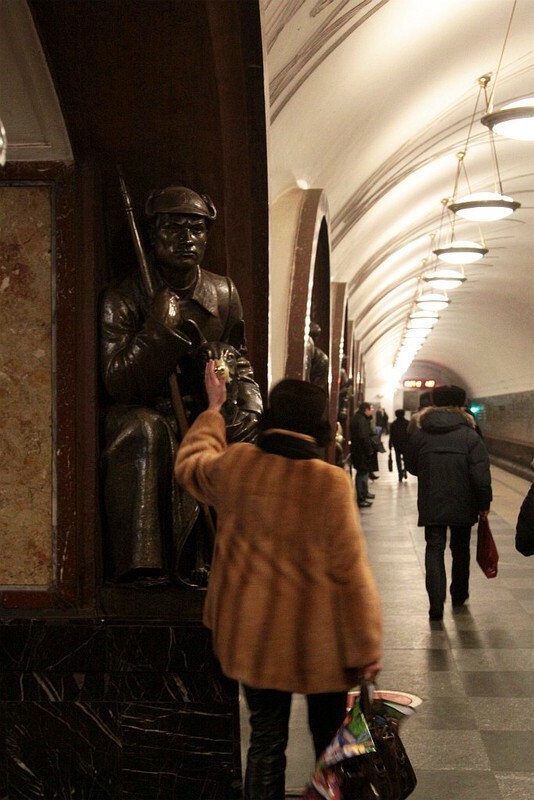 Pay attention to how finely and conscientiously the texture of these statues is worked out – the roughness of the soldiers’ overcoats, the furry dogs and everything else. The dog muzzles first lost their hair, then their noses – only holes remained, in a few more years they would not be there either. Roosters are rapidly losing feathers. 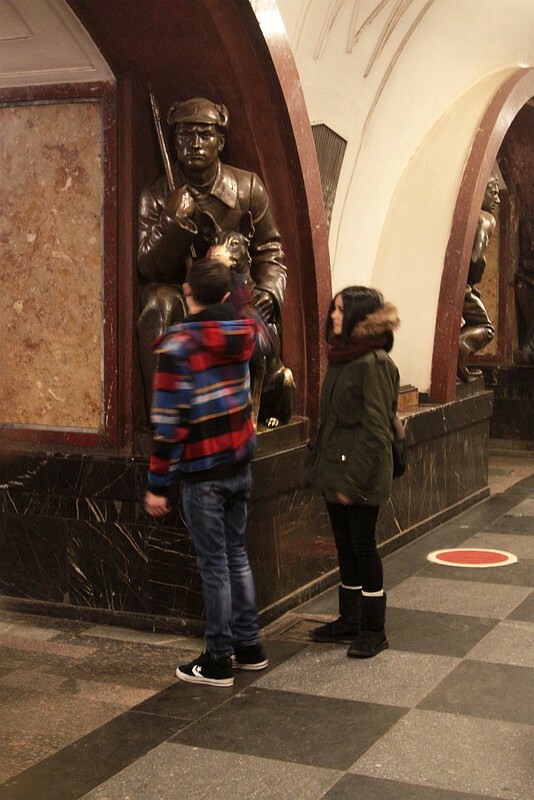 As Ploshchad Revolyutsii station there are 76 bronze figures depicting Soviet people, located on the pedestals in the corners of each archway. There are 20 different designs: 18 of them are repeated four times, and two – twice. 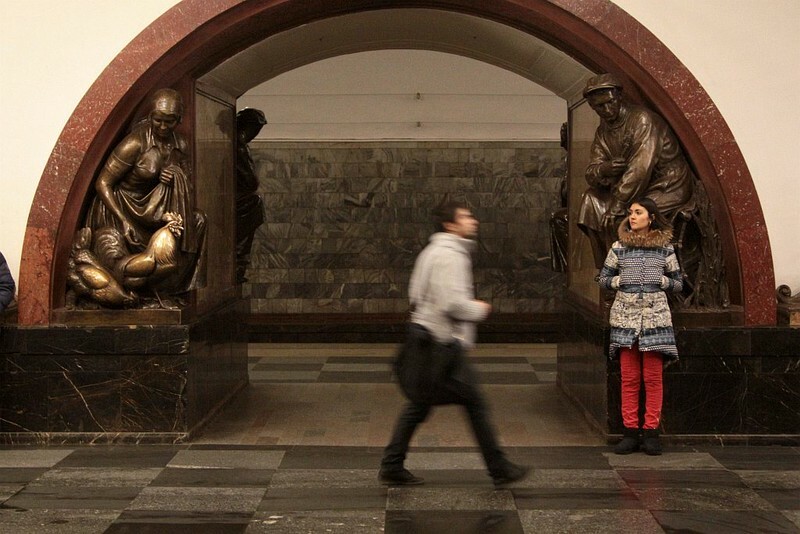 The sculptures were made at Монументскульптура (Monumentskulptura) in Leningrad under the guidance of prominent sculptor M. G. Manizer, with the team of sculptors including A.I. Denisov, A.A. Divin , A.A. Vetutnev, I. P. Ivanov, E. G. Falco, M. A. Vladimirskaya, V. A. Puzyrevsky. A border guard with a dog. All the figures (except the figures of the pioneers) in order to fit into the limited vaulted volume of the arched passages are depicted either on their knees, or bent, or sitting. Tall barbed wire fences preventing access beneath each major bridge. And guard houses at every tunnel portal. I came across a Russian railfan forum, where the reason for these security measures was brought up. For example, the approach to any serious bridge is enclosed by a zone of alienation with barbed wire, signs and armed guards. We photograph the railway bridge, for example. 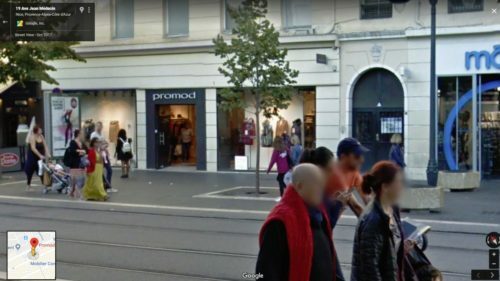 The ВОХРовец is approaching us and politely is interested, but on what basis are you taking these photos? 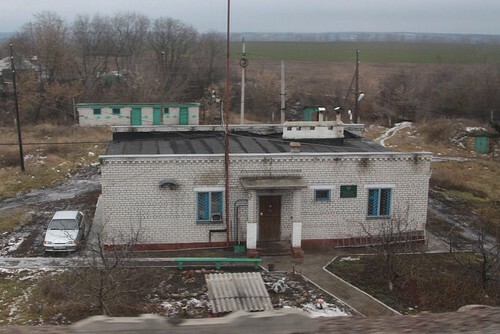 ВОХРовец, according to the statute of the guard service they do not have rights to leave the facility, those because of the territory he should not leave. But to call the police – easily. And if on the fence, there are inscriptions about the prohibition of filming, then they will be right. Specialised state departmental armed units responsible for protecting buildings, structures, vehicles, and cargo from unlawful attacks. They have the right to use military and service firearms, in addition to service dogs, handcuffs, rubber batons, and spike strips used to stop vehicles. Officials of state departmental protection (established by federal state bodies) have the right to draw up protocols on administrative offences, carry out personal searches, inspect items belonging to individuals, inspect vehicles and other procedural actions established by the Code of Administrative Offences of the Russian Federation. 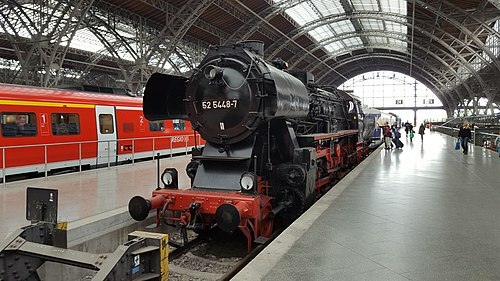 The Federal State Enterprise “Departmental Protection of Railway Transport of the Russian Federation” for nearly 90 years has ensured the safety of the cargo being transported, the protection of objects and the fire safety of railway transport in the interests of the state, citizens and the company “RZhD” all along the steel highways from Kaliningrad to Sakhalin. Today the departmental protection of the railway transport has 68,000 employees, with over 2400 objects of railway infrastructure protected, including more than 1900 most important ones. More than 400 fire inspectors carry out fire prevention at stationary facilities and rolling stock. In constant readiness for action are 307 fire trains, including 67 specialised, with increased tactical capabilities to eliminate emergencies with dangerous goods. They also show off their work protecting major bridges. In addition to railway tunnels. So why are such extensive security measures in place? The fact that the railway bridges are so heavily guarded is understandable, no one doubts this is necessary. But I’ve always wondered: why are automobile bridges not so zealously protected? In the event of an accident on the rail such as bridge collapse, the consequences will be much more significant compared to a road bridge. Any car will have time to stop seeing ahead of the obstacle. In addition road bridges are much more numerous than rail bridge, therefore it is impossible to protect all the bridges (where to find so many guards). It is easier for road vehicles to find a detour, or engineering troops can erect a temporary pontoon bridge. 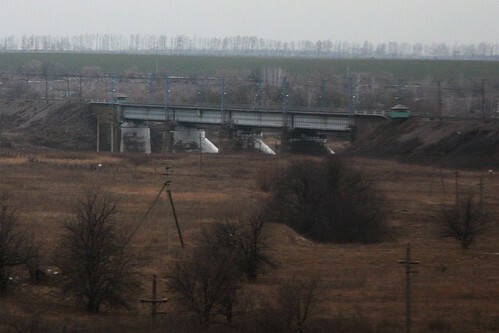 Blowing up a railway bridge means complete paralysis of the route until the bridge is completely restored. I understand that we are talking about “big” unique bridges. Standard railway bridge across the small river should be restored in a very short space from pre-prepared sets. Actually, that’s why they are not protected. But this Russian-language article in Евразия Вести suggests a much more likely reason – Soviet-era paranoia. 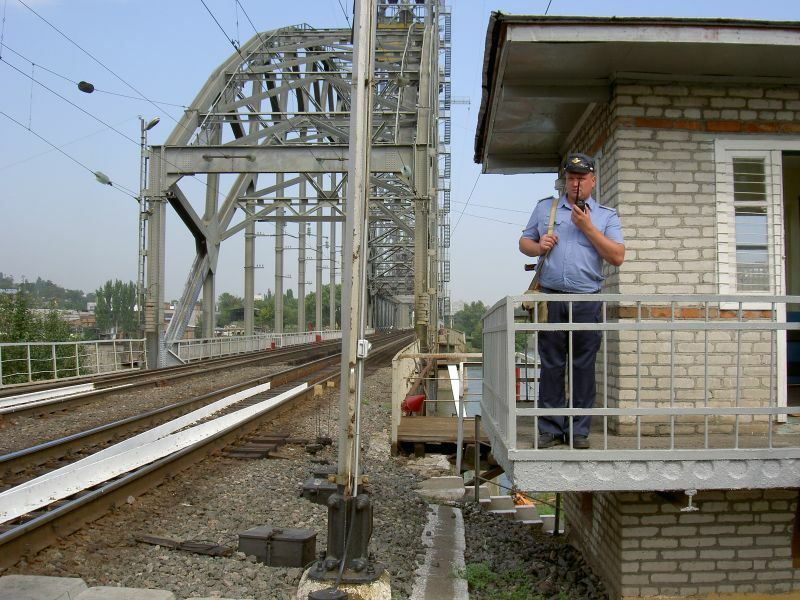 Following the October Revolution railway facilities of strategic importance were under the protection of the military department; protection of “external order, deanery and public security” was carried out by parts of the railway guard and the police. Cargoes, property and ways were under the care of watchmen, who were in full subordination to those whose good they had protected. In order to strengthen the leadership, in March 1918 a special decree was adopted “On the centralisation of management, the protection of railways and the increase of their efficiency”. By the decree of the government of July 17 of the same year, under the People’s Commissariat of Railways (NKPS), the Office of Protection was established. The squad on the ground included transport experts. They fought decisively against stowaways and those who tried to transport goods without payment, in addition to monitoring the efficiency of rolling stock use. It was envisaged to increase the number of protection staff to 70 thousand people. 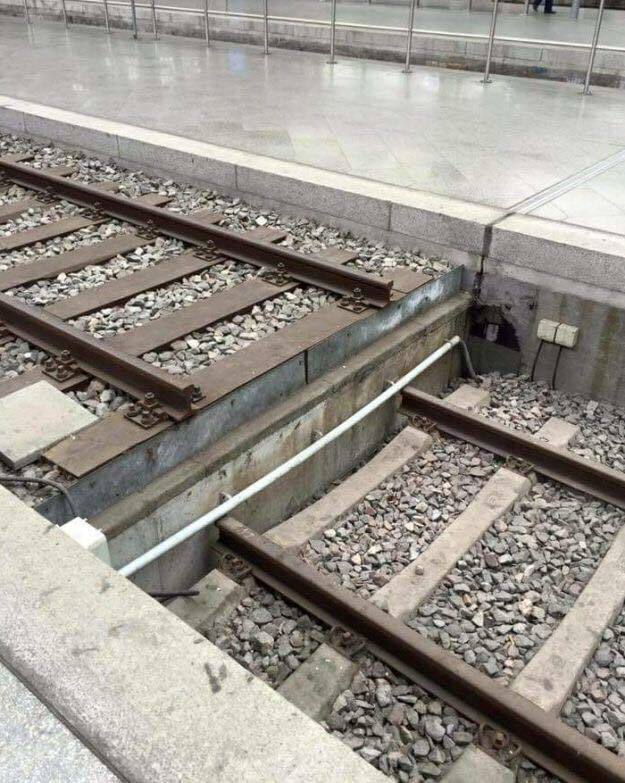 The authorities could not tolerate chaos and theft on the railways. Looters cut the telegraph wires. Profiteers swarmed trains, like locusts. Hidden were robbers, bandits and other criminal element. The NKPS was forced to take extreme measures. At the stations, warehouses, warehouses temporarily formed non-military protection. As for bridges and other structures not guarded by troops, as well as railway tracks, they went under the tutelage of local authorities, which formed out of brigade workers. A video from the Voronezh branch to mark 95 years of railway guards, who protect the South Eastern Railway. 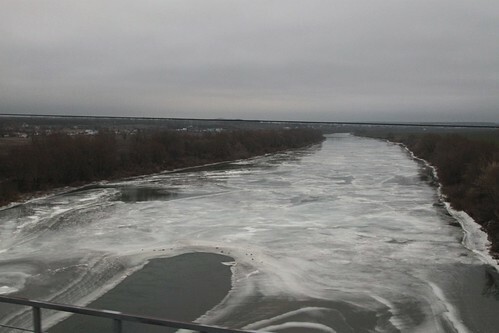 And from the Samara branch, who protect the railway bridge over the Volga River on the Kuybyshev Railway. Ministry of Railways of the USSR directive No-298y «Типовые решения по оборудованию инженерными средствами охраны на искусственных сооружениях, охраняемых военизированной охраной МПС» (Typical solutions for equipping engineering facilities for protection on man-made structures protected by paramilitary protection of the Ministry of Railways) dated 2 February 1990 details the fencing standards around restricted areas. In accordance with clause 2.1.1, the boundaries of the restricted area are protected by a barbed wire fence (tape or net) in 12 threads 2 m high. In the terrain, they are designated by warning signs 2 m high above the ground surface, installed along the fence line from the inside through every 50 meters in the enclosure of the restricted area can be arranged gates and wickets. In accordance with clause 2.2.3, on the watch posts, guided (rotary) floodlights of the PFS type (without lenses) or other narrow-beam floodlights are designed to increase the equipping of the terrain outside the restricted area. In accordance with paragraph 4.1, posts for the protection of artificial structures. While the «По организации работы караулов ФГП ВО ЖДТ РФ» (Procedure for organising the activities of Departmental Security Service of Railway Transport of the Russian Federation) dated 21 September 2010 specifies the other security features required. According to clause 2.4.1 of the manual a protection system is created to provide protection for the protected object, which includes: guard, posts, orders, locations and routes, surveillance sectors, engineering and technical means of protection, posts of service dogs, means and other forces. 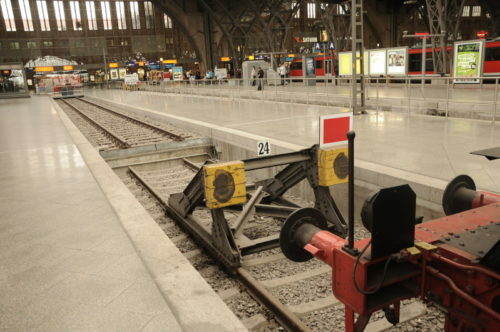 Equipment posts should provide the guard: a sufficient overview of all sections of the post and the surrounding area; sufficient illumination of the approaches to the object, its most important points; absence of lighting (blinding) by lighting systems of security equipment and guards; the possibility of centralised management of the entire lighting system or a group of fixtures, and in necessary cases, separate lamps (projectors). Equipment of restricted areas includes: their fencing, checkpoint, warning signs, indicative and delimiting signs, a security lighting system, technical security equipment, postal communication and signalling, guard posts, defensive structures. Depending on the nature of the object and the conditions of its location, the fence is built around the perimeter of the site and the boundaries of the restricted areas. When erecting a fence, it must be taken into account that it must be rectilinear, without unnecessary bends limiting observation, not less than one and a half meters in height. To it should not adjoin any structures. In the darkness of the day, the approaches to the post and the protected object should be illuminated so that the sentry, being on the post or moving along the site of the post, was in the shade. In accordance with the established procedure, security lighting should provide illumination at the borders. Trams are usually used to carry passengers, but across Europe there are a handful of tramway networks that also carry freight. The best known in the English speaking world is the ‘CarGoTram‘ of Dresden, Germany. The CarGoTram commenced operation in 2001, transporting car parts 4km to Volkswagen’s “Transparent Factory” located in central Dresden, from a road served logistics centre. Each bidirectional trams is made up of five units, with services operating along the same tracks used by passenger services. 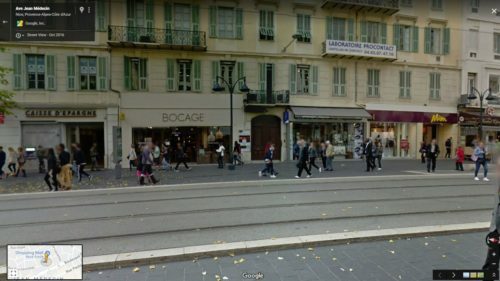 Lesser known is the ‘Cargo-Tram‘ of Zurich, Switzerland. This service commenced operation in 2003, travelling around the city collecting rubbish and recyclables from pick up points along the way. A redired passenger trams operates the service, towing two flat wagons loaded with rubbish containers. A different type of freight service was the ‘Güterbim‘ of Vienna, Austria. 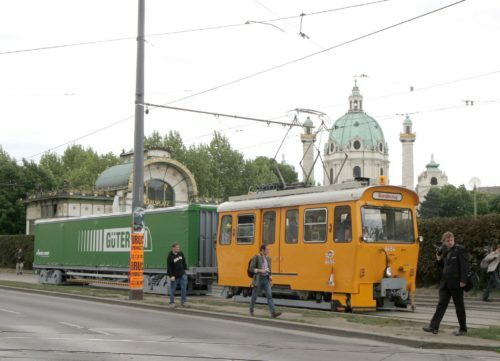 A trial service commenced operation in 2005, transporting freight to Wiener Linien’s tram depots around Vienna, such as driver’s seats, wheelsets and brake blocks. A specially converted works trailer wagon was converted to carry the freight, towed behind a workshop tram. The trial ended in 2007, but I can’t find out what happened to it. 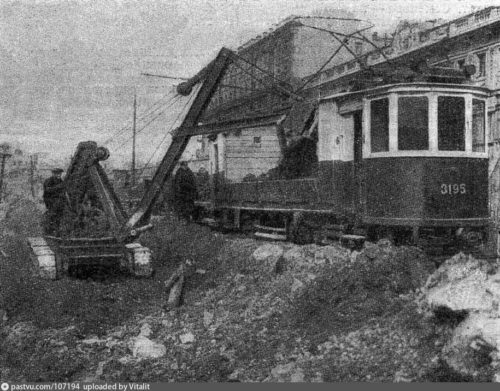 Converting trams to assist with track maintenance is common. This unit is based out of the Leonova depot (№2) in Saint Petersburg, Russia. This converted tram is from Nizhny Novgorod, Russia. This cut down passenger tram is from Tula, Russia. But the strangest operation I found was in Kharkov, the second-largest city in Ukraine, where they once used miniature electric locomotives to move mainline freight wagons through the streets. Operation of tram electric locomotives began in Kharkiv in 1932, when the tram industry received two industrial electric locomotives of the type EPU (Electric Locomotive Industrial Narrow), manufactured by the Moscow Dynamo plant. Such electric locomotives were produced in the years 1926-1938 specifically to work on tram lines and access roads of industrial enterprises and fed from a 550-V contact network. 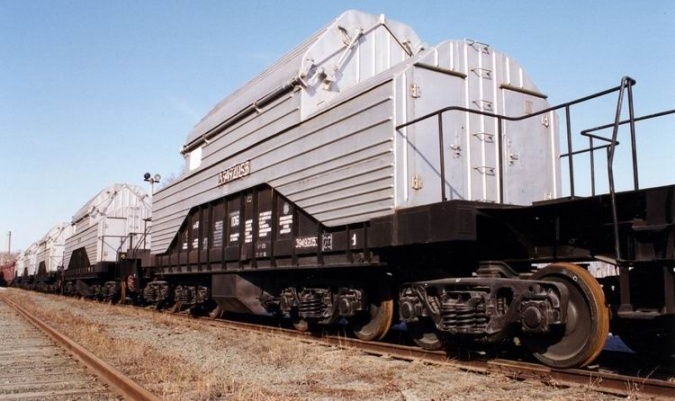 For many years, electric locomotives were used to deliver rail cars with cargo intended for the Kharkov confectionery factory “Kharkovchanka”. 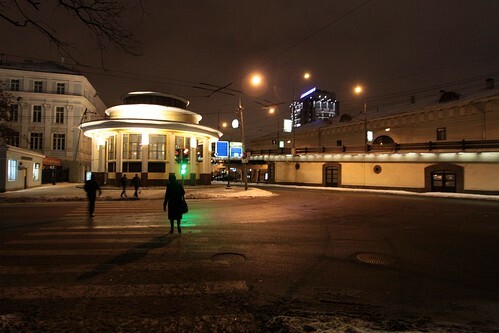 The latter is located one kilometer from the tram-railway “gate” of the station “Kharkov-Passazhirsky”, opposite the former Cargo depot. 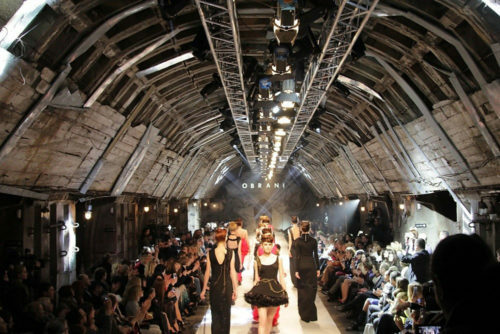 Wagons were transported along Chebotarskaya Street, where electric locomotives and passenger trams for a long time worked side by side, practically not interfering with each other. 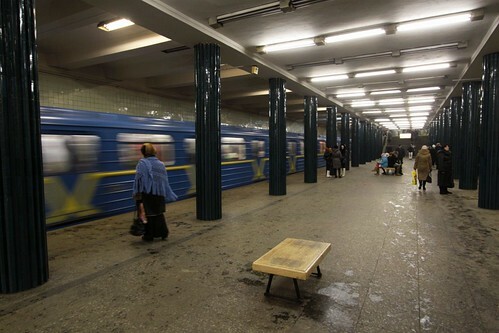 In the second half of the 1990s, due to the fact that such carriages heavily worn out the rails and created problems for the passenger movement, a certain period of time (from 12:00 to 13:00 on weekdays) was allocated, when the passenger cars were sent to a detour along Kotlov street and a pier on Krasnoarmeiskaya street, and electric locomotives could quickly and unhindered to proceed with cargo. 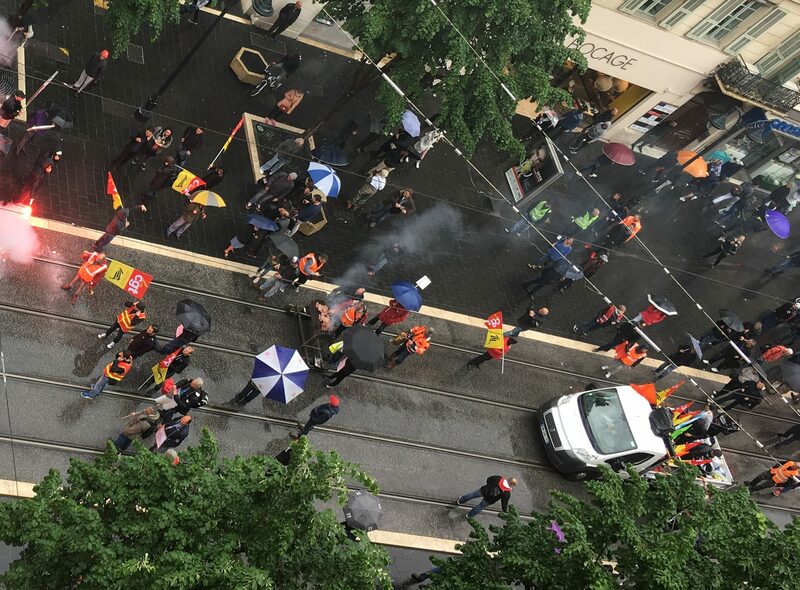 After the transportation was over, the condition of the route was checked and the passenger trams again followed their route. 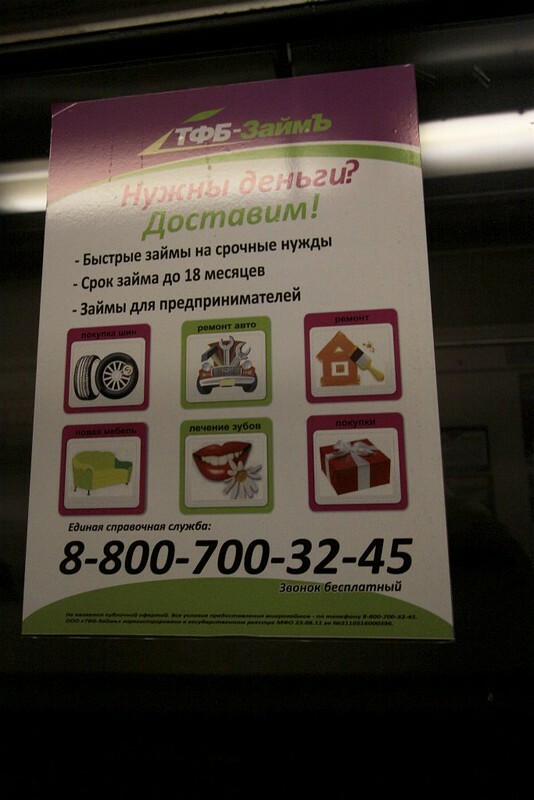 In July 2001, the tram branch along the Chebotarskaya street was closed to the passenger traffic, after which it was regularly used only to deliver wagons to the confectionery factory. In 2009, the factory abandoned the services of “Gorelectrotrans”. The remaining “no-business” electric locomotives were put off from operation and relocated to the territory of the Saltovskaya tram depot. A few years later these cars were decommissioned. Similar operations also occurred in other cities across the former Soviet Union, with Трамвайно-железнодорожный гейт (tram-rail gate) being the unofficial Russian langauge term for the junction of the tram and rail networks. Saint Petersburg, Russia operated a large network of freight trams until 1997. Here’s a quick summary via Russian language Wikipedia. Petrograd was the first city in Russia where freight electric transport was established using trams, following the construction laid in the fall of 1914 to the Warsaw freight station. The second cargo branch in 1915 connected the warehouses in Badaevsky to Zabalkansky Prospekt. These early freight trams consisted of two platforms attached to a motorised tramcar that acted as a locomotive. Load capacity of each platform was 4 tons. By the end of 1921, the total length of the special cargo way had reached 13 km, and the number of 4-ton cargo platforms had increased by another 100. The average annual volume of traffic in 1918-1921. was about 250 thousand tons. The place of 4-ton platforms of pre-revolutionary times began to come 10-ton. Thanks to this, in 1930, 40 tram freight trains carried 491.6 thousand tons of cargo. By 1933, the length of its tracks had almost doubled, reaching 5.9 km, including 3.6 km of tramways and 2.3 km of railways. By 1940 the freight tram fleet consisted of 67 motor and 177 towed cargo platforms. The number of tram per route reached 43, each with a payload of at least 30 tons. In addition to 10-ton wagons, new 12 and 15 tons capacity wagons were entered service. In 1950, tram trucking reached 1942.7 thousand tons, and in subsequent years remained at the same level. The cargo tram depot in 1956 daily issued on the line 47 trains, which served more than 20 enterprises and organisations of Leningrad. The amount of work done by the park for this year amounted to 40 thousand railway cars. 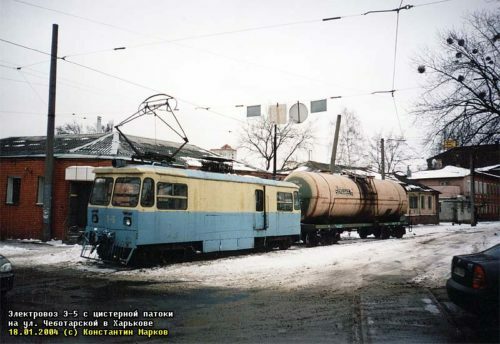 The maintenance of enterprises by freight trams was discontinued in 1997. The last serviced enterprise was Sevkabel , which has a base on the right bank of the Neva on the territory of the Neva freight station. Moscow also had a freight tram system, but it was abandoned much earlier. Again, a quick summary via Russian language Wikipedia. Cargo trams operated over the Moscow tram network from 1915 to 1972. The route was completed in May 1915 from the railway station of the Paveletsky railway station to the “Business Yard” beside Varvarsky Gate. From 1916 to 1919, the number of freight cars grew from 51 to 167 units. During 1918, 15 motor and 24 trailer cars were converted into freight ones. In 1919, about 17 km of new routes were laid for freight traffic, and followed in 1920 by another 10 km, but from the middle of 1921 the volume of traffic began to decrease in connection with the transition to road transport. At the end of 1931 there were 139 freight cars in the Moscow tram. The cars were used for the largest construction projects: the Moscow Metro and the Palace of Soviets. 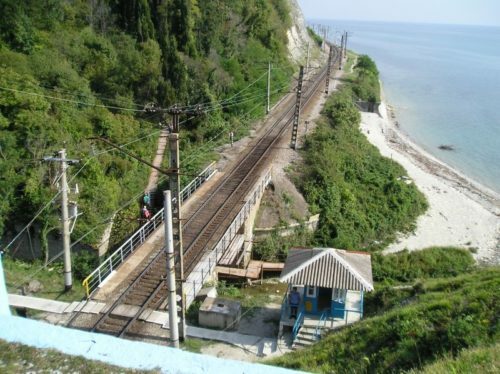 Specially constructed trains-trailers with the carrying capacity of 50 tons were used for transportation of metal trusses for the construction of the Crimean Bridge, the Bolshoy Krasnokholmsky Bridge, and the Great Ustyinsky Bridge. The heyday of the freight tram came during the Great Patriotic War , when practically all trucks were mobilized to the front, by 1942 the total length of purely freight branches was 38 km. After the end of the war, the volume of traffic began to decline sharply – in 1953 they became seven times less than in 1945. In 1951, 9.3 km of cargo branches were dismantled. Some revival occurred in 1954-1955, when it was decided to use freight trams on housing construction. In 1956, 127 freight cars were on the inventory, in 1960 – 67, in 1966 – 30, and in 1971 – only 7 wagons. 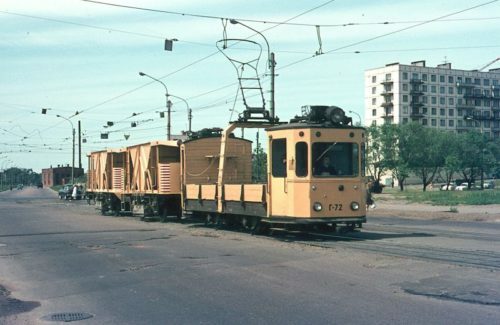 In 1972, the freight tram was officially discontinued – the last 7 cars, which were already used only for the needs of the tram network, were transferred from freight to service trams. 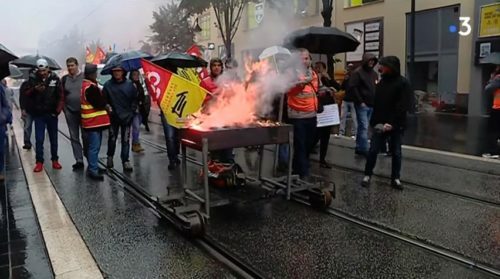 The German term for ‘freight tram’ is Güterstraßenbahn – German-language Wikipedia has a summary of former operations in western Europe. With a large fleet of nuclear power stations used for electricity generation across Russia, there is also an increasing quantity of отработанного ядерного топлива (spent nuclear fuel) needing to be safely transported to reprocessing or storage facilities, where the useful material can be reused and the remnant radioactivity can be safely managed for the thousands of years required for it to naturally decay. 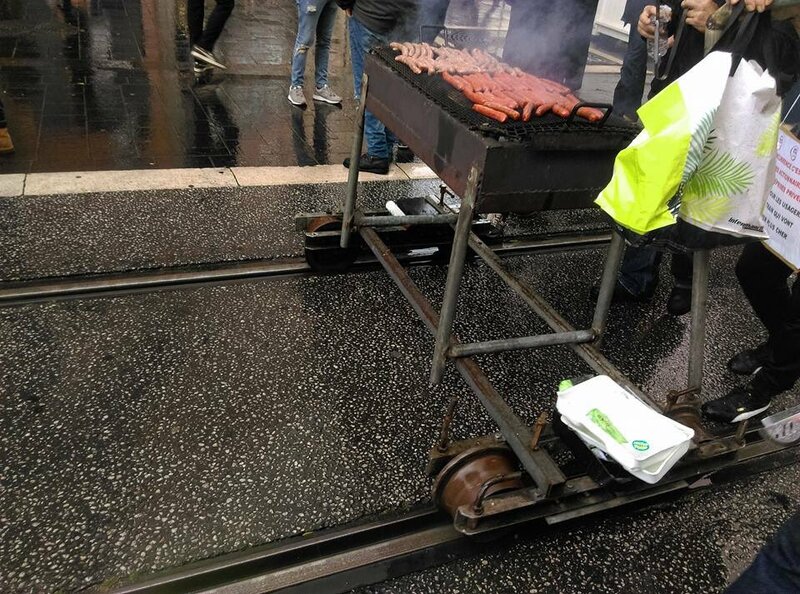 The chosen model of transport – train. The irradiated fuel assemblies are loaded into transport casks inside the nuclear power station, which are then loaded inside specially constructed rail wagons. Heavier than a normal railway wagon thanks to the layers of steel shielding, multiple bogies are needed to spread the load. Which can then be sent anywhere in Russia. Fresh fuel assemblies are also transported to Russian nuclear power plants by rail – here is a (Russian language) documentary on the process. The Bellona Foundation is an international environmental NGO based in Norway, and has written much about the history of Russia’s transport of spent nuclear fuel. The US-based Cooperative Threat Reduction Program sponsored construction of six special TK-VG-18-2 type rail cars. The rail cars for spent nuclear fuel passed all the required tests and were certified for operation. Each car can take two 40-tonn containers with spent nuclear fuel. The new train will allow to speed-up the spent nuclear fuel transportation to the storage and reprocessing points. Until recent time Russia had two nuclear trains with four cars each. The Norwegian Government sponsored the second train’s construction. The protesters with Bellona and other Russian environmental groups were accosted by the guard bearing an AK-47, who cocked and pointed the weapon at the environmentalists who were filming the results of their radiation measurements – which exceeded background radiation levels by 30 times. The armed guard was travelling with the load as specified by law. 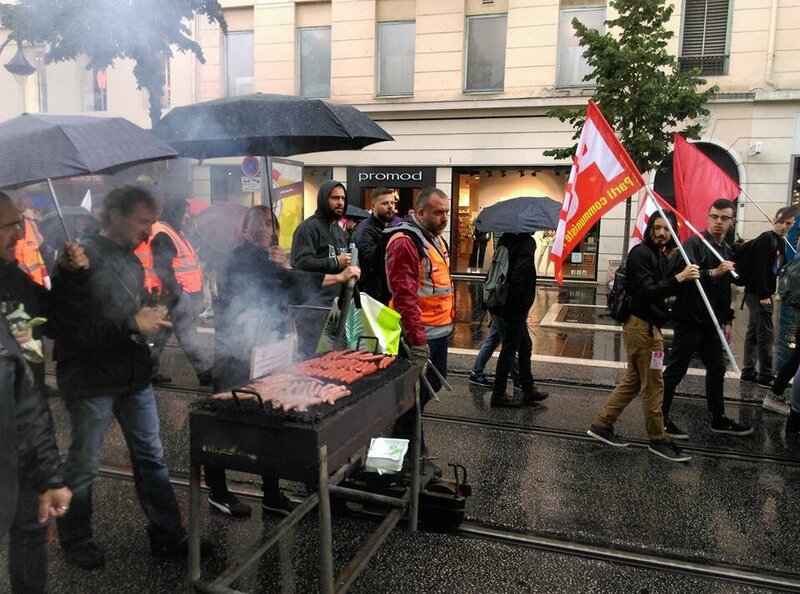 Bellona and Ecodefence have been following the load of uranium tails since it put into the port of St. Petersburg on Friday filled with waste from Germany’s Urenco enrichment facility in Gronau. Bellona and other Russian environmental groups demand the transport of the radioactive waste be ceased immediately. A special-purpose train carrying 80 tons of spent nuclear fuel (SNF) from Leningrad Nuclear Power Plant (NPP) near Russia’s second largest city of St. Petersburg is soon to head out to a closed town in Siberia – a first shipment in an envisioned large-scale SNF relocation project that environmentalists fear will turn Siberia into a nuclear dumpsite and drastically increase overall safety risks, while helping none to address the exacerbating threat of nuclear waste accumulation. 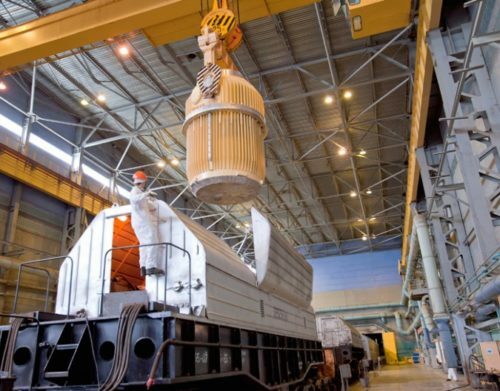 Up to 22,500 tons of spent nuclear fuel generated in Russia’s altogether eleven RBMK-1000 reactors still in operation may be relocated from the country’s European regions to Zheleznogorsk, on the banks of the river Yenisei. Two hundred and ninety “nuclear trains” will be required to transport that much waste – assuming that all three Russian NPPs employing this type of reactors will continue to operate beyond their design-basis useful life terms. During the 1990s a green four-car train would make the rounds every few months to Russia’s snowy Kola Peninsula to cart nuclear fuel and radioactive waste more than 3000 kilometers south from the Arctic to the Ural Mountains. At the time, the lonely rail artery was the center of a logistical and financial bottleneck that made Northwest Russia, home of the once feared Soviet nuclear fleet, a toxic dumping ground shrouded in military secrecy. Infrastructure, technology and the Kremlin were failing to keep up with the mushrooming catastrophe. The nuclear fuel train could only bear away 588 fuel assemblies at a time three or four times a year – little more than the contents of one nuclear submarine per trip. Even if the train ran on schedule, removing broken or deformed nuclear fuel elements at Andreyeva Bay was still seen as impossible. Countries who operate nuclear reactors of Soviet design often export their spent nuclear fuel to Russia – Ukraine and Bulgaria have agreements in place; while including Finland, Hungary, Slovakia and the Czech Republic have done so in the past. Canada: five per year by road. ​USA: 3000 to 2015 by road, rail, and ship. Sweden: 40 per year by ship. UK: 300 per year by rail. ​France: 250 per year by rail. Germany: 40 per year by rail. ​Japan: 200 to 2013 by ship. A Twitter bot tracks the progress of progress of spent nuclear fuel trains around the United Kingdom. 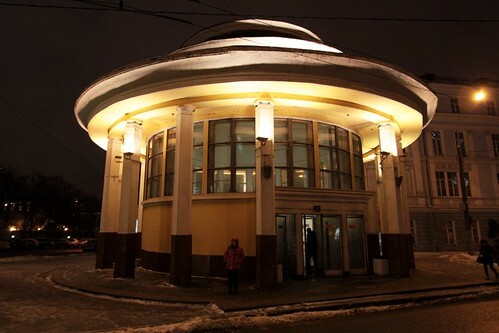 Russian metro stations are best known for the ornate design at platform level, but the entrance vestibules back at ground level can also be quite amazing. 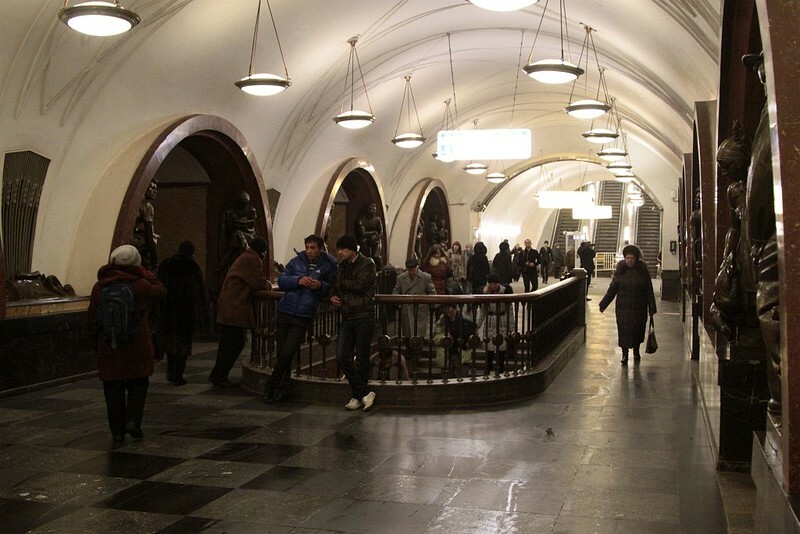 This is the original entrance to Park Kultury station, opened along with the first phase of the Moscow Metro in 1935. The vestibule building is an ornate rotunda. Housing a pair of curved staircases inside. 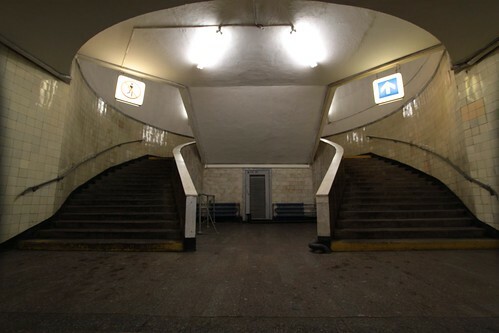 Continuing the theme is the Saint Petersburg Metro, which has a collection of 1960s stations that share the same circular entrance vestibule design. the work of architects A.S. Getskin and V.P. Shuvalova. Three remain today: Park Pobedy, Elektrosila and Frunzenskaya. 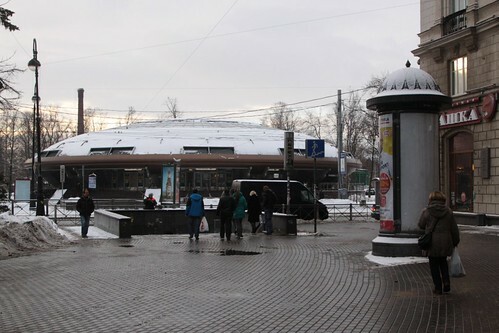 The fourth example was Gorkovskaya station, which has since been rebuilt. 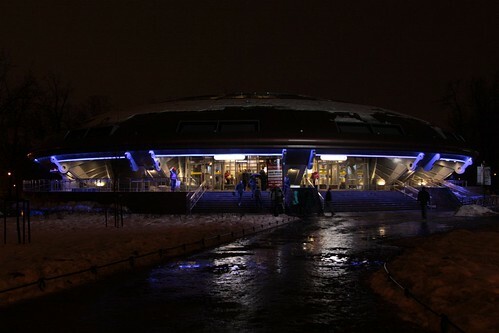 Originally opened in 1963, in 2009 the original circular concrete ‘bunker’ that houses the station centre was replaced something at looks more like a UFO! 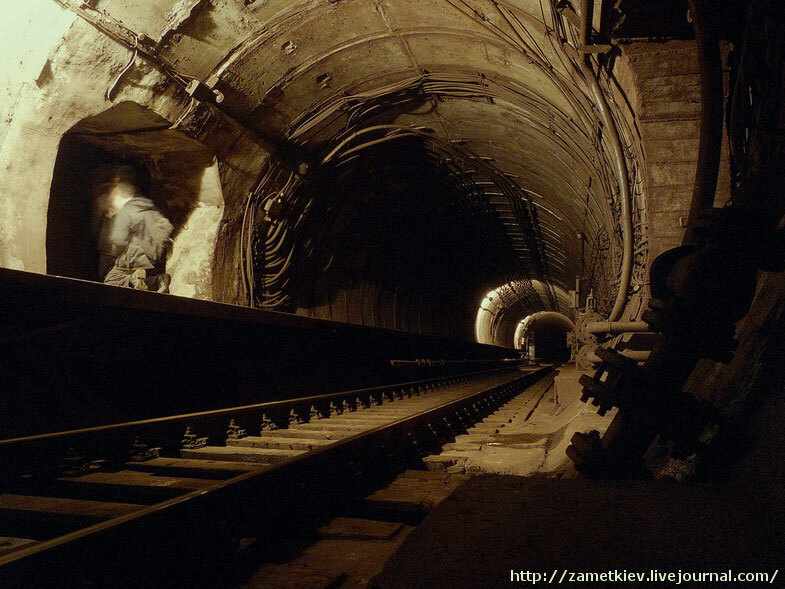 On the Kiev Metro there is a curious section of tunnel that doesn’t run underground – instead the concrete tube is carried over a deep railway cutting by a bridge, only to head straight back underground. Called the Гаванський шляхопровід (Harbour Overpass) the bridge was completed in 1971 to carry the M1 Sviatoshynsko–Brovarska line of the Kiev Metro inside a concrete tunnel over the Kyiv-Volynsky – Pochayna mainline railway, with the four eastbound lanes of Проспект Перемоги (Prospect Peremohy) passing over the top. But for passengers on the metro, the Harbour Overpass is a non-event – the concrete tube means trains pass between Nyvky (Нивки) and Beresteiska (Берестейська) stations in the dark, with nothing to suggest they have momentarily returned to ground level.